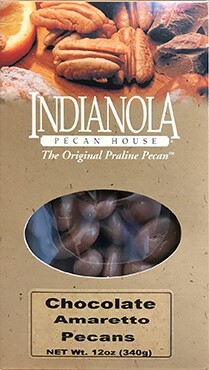 12 oz Box Chocolate Amaretto Pecans - we add amaretto to our popular chocolate pecans! Our chocolate amaretto pecans are creamy and delicious with just the right amount of amaretto. Try some today! 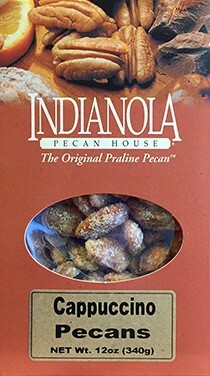 A wonderful addition to the chocolate amaretto pecans.